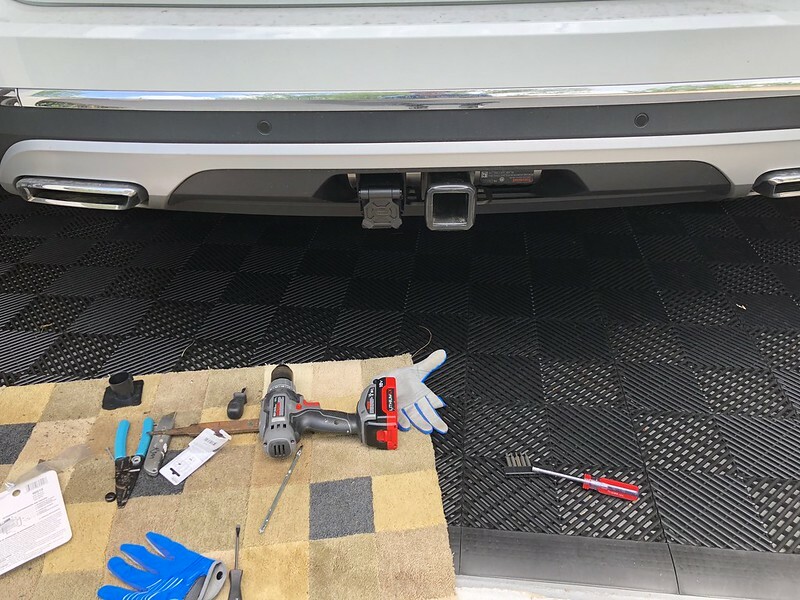 VWVortex.com - Tow hitch wiring harness??? Thread: Tow hitch wiring harness??? It looks like it should fit, and it fits on the Toureg so the holes should line up. #1 might work, but you would need an adapter for the factory plate. I will be the guinea pig. Just trying to save you some time and money, as mentioned in post #88 this adapter will not work. Holes do not line up and the body is too large for the opening on the plate welded to the hitch. I REALLY wanted a dual plug option for 7 blade and 4 flat b/c I tow different things. I didn't want to go with an adaptor, call me stubborn. This item has been said to NOT FIT, and that is accurate. 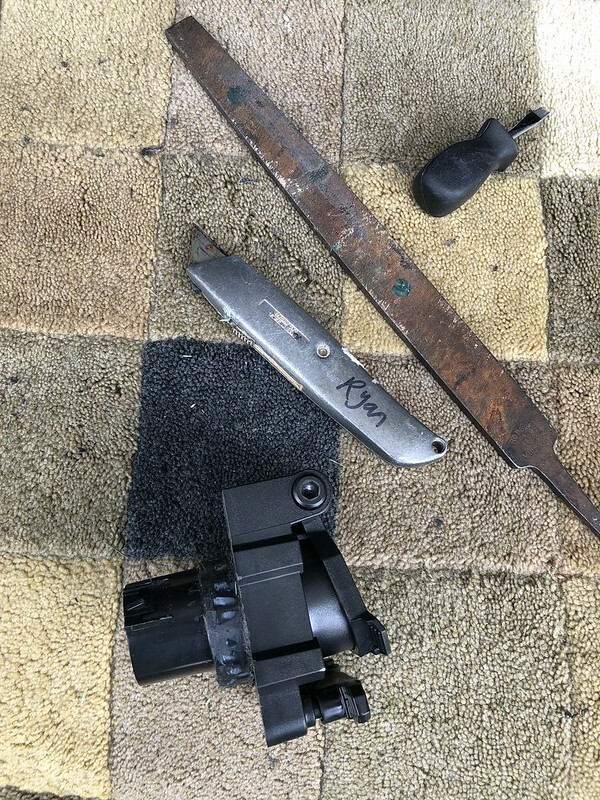 Unless you have a utility knife and a file, and about 10 minutes of time. Remove the square plate, from the Atlas, unplug the harness, and then when go to put this into the hole, the diameter it too large. you can use a utility knife and file to bring it down to size (the hopkins part, that is). go ahead and carve off some of the plastic in a consistent fashion, all the way around the part, so that it's still somewhat circular. then use the file to clean it up a bit. there is probably a better way to skin this cat, like with a tool smarter than a utility knife! suggestions welcome, to help the future hackers! I couldn't think of anything, so I went with the caveman approach. I got tired and quit once I got it 98% flush. I will revisit next weekend, when I have more time. but unless you're sitting down on the ground, it looks clean/oem-like. as you can see, I can grind a bit more off, so that it goes to 100% flush, but honestly, it's not a big deal. you can't really tell. the holes do not line up. it's somewhat close. if you go to look directly into the hole, to see if it lines up with the hole behind it.... there is a sliver of light... so I used two black drywall-type screws (with bite) and drilled them in, and they grab on perfectly. I put them in opposite corners. I yanked on it and doesn't budge at all. I'm very late to the game here. So, I hope this helps at least one of my Atlas brethren. then I got a Dremel. my first! Last edited by RyanA3; 05-30-2018 at 10:11 PM. 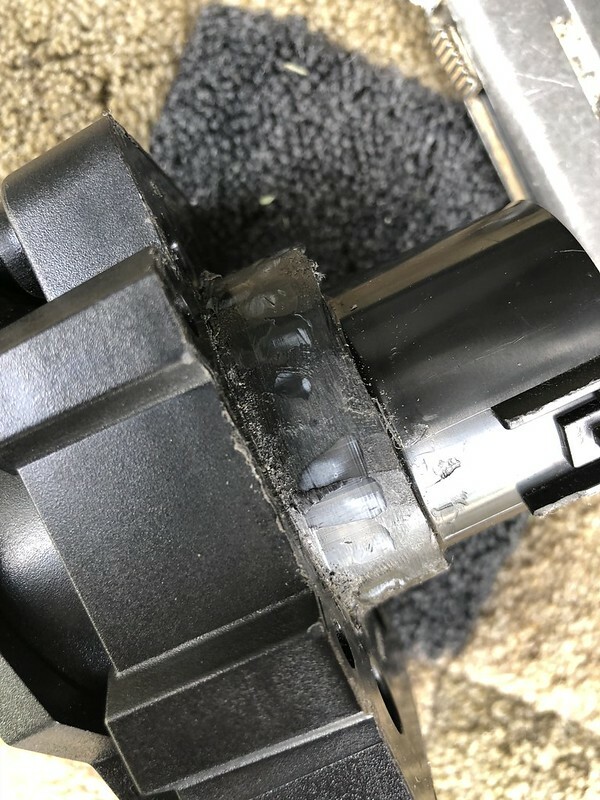 You can use a dremel with the sanding drum if you want. Drywall screws will eventually rust, so you'll have to keep an eye out on them. that's a good point. I don't think of things like that. thank you for taking the time! I'll look for a thin nut/bolt set and report back with the size/#, in case anyone else is interested. Where did you mount your EBC? First off, big thanks to everyone here! Bought an Atlas 2 months ago, went to pull my boat and was shocked to see I didn't have any way to connect the wiring. Dealer told me it was going to cost $200 to install the hitch harness and "recode" the wiring. I ordered the Pollack 11-839 and a Hopkins 7-4 adapter. Less than $20 and will take me 5 minutes to install. I'm considering getting a Tekonsha P3 for the few times I pull a heavier (electronic braked) trailer. 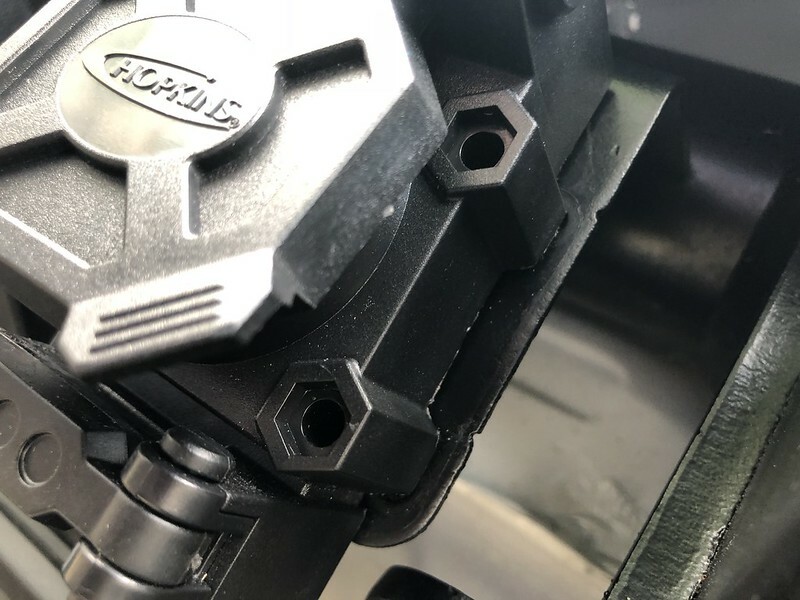 Where did you mount your brake controller to keep it looking "factory"? Again, thanks for saving me a couple hundred dollars. Is there really any coding involved? I bet not. 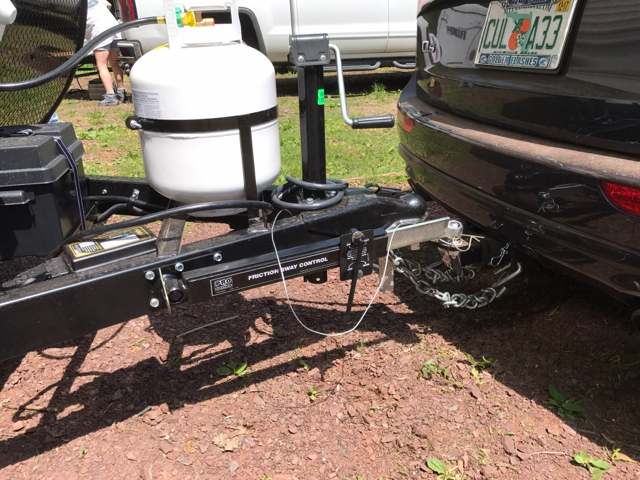 There shouldn't be any coding if you have a factory hitch like the one on the SEL. 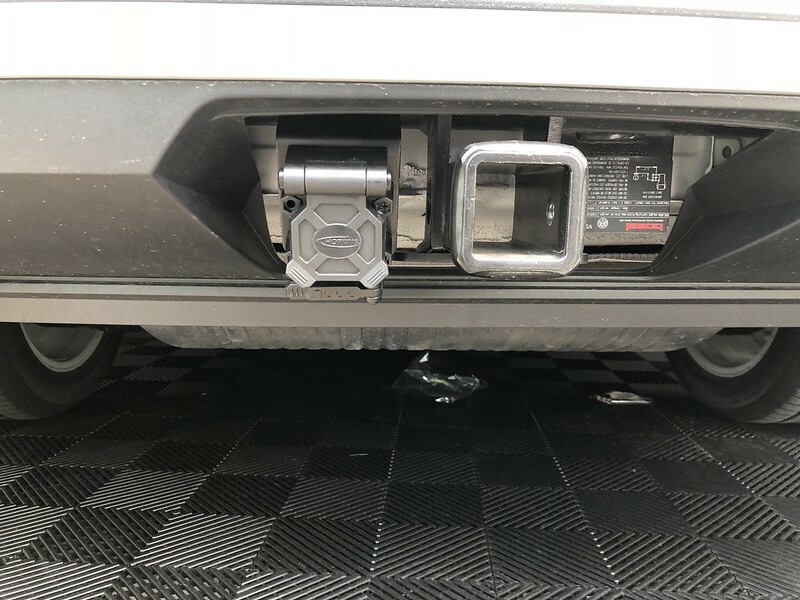 There is a trailer assist mode for the rear view camera. 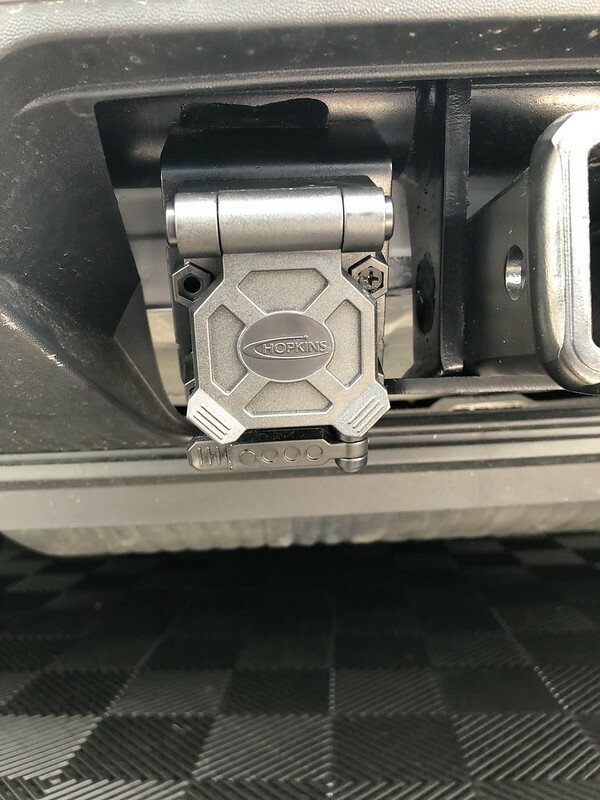 The rear warning sensors also have to know if a trailer is connected or not. I had a similar issue the first time I wanted to pull a trailer, so I went to the dealer to ask why there was no adapter plug for the wiring harness already there. 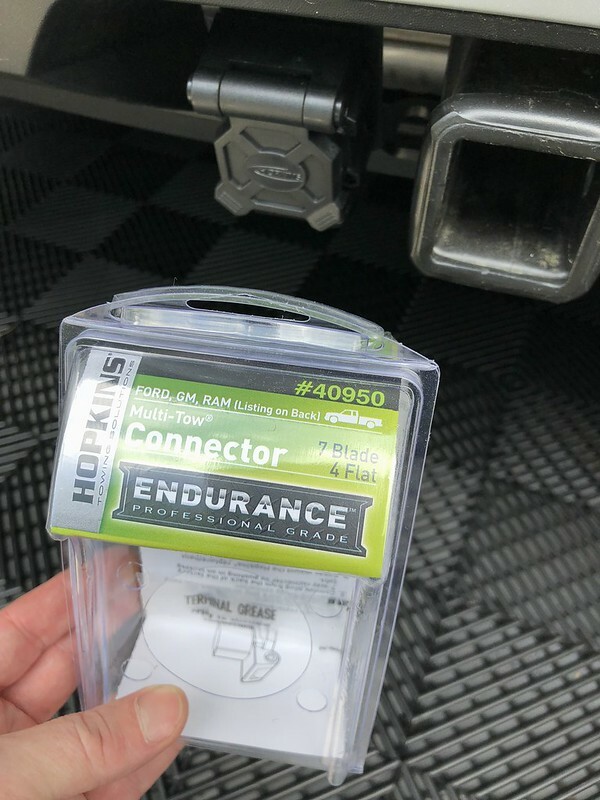 They said that they don't include that at the factory because it depends on which connector your trailer has. 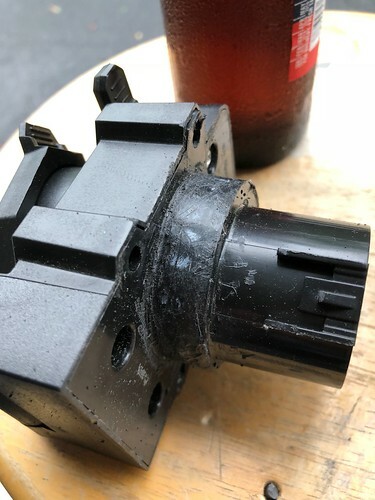 I showed them the trailer plug, and they had the mating adapter for $57, but the service manager gave it to me for free. Just ordered the eBay pigtail and looking to purchase the Tekonsha 90195 P3 brake controller to pull our new-to-us 2011 Jayco Jay pop-up. I read through the forum a few times & still unsure whether we are good wiring without a “relay” for controlling the electronic brakes on the Jayco. I have a SEL with the factory tow package and just hooked up the pollak connector in the back. Thanks in advance and sorry if I totally missed the answer that I was looking for! Great thread—covered all of my trailering questions before we trade our Q5 for an Atlas. Anyone wondering, the brake controller hookup is NOT the same as other recent models from VW and Audi. Same part numbers for the 4pin connector under the dash. 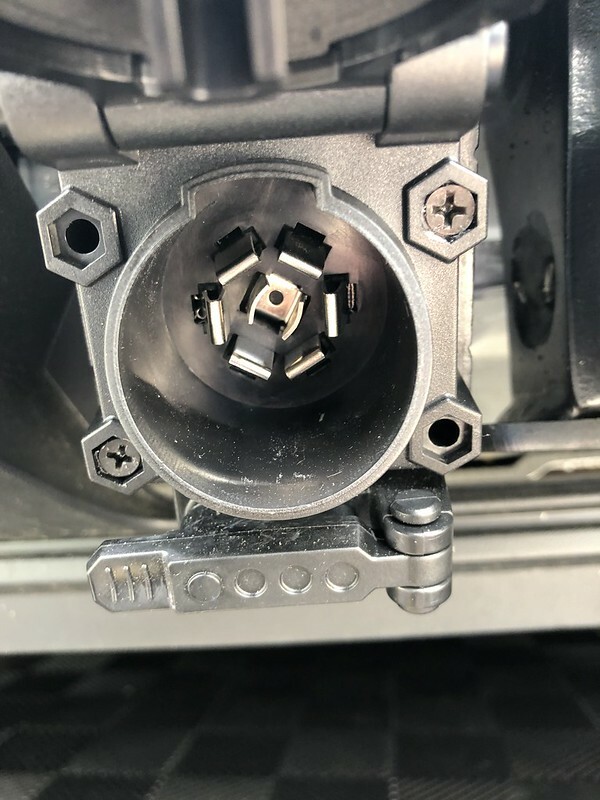 The plug in our SEL Premium has part number 1J0971874 and will not fit the Touareg/Audi connectors (although the eBay item looks really nice). I ordered the correct plug and wires today and will get it put together later this week. Before delivery I asked the dealer to pull out the plug under the dash so I can connect my Tekonsha EBC. We initially went with a wireless EBC. It worked for our first two camping trips and would never pair after that. Great idea, but unreliable. If you are considering, I recommend passing on it. Also the sway controller setup we have carries over as well. Here are some phots from our Q5. New Atlas pics will come later. Last edited by Scott Evil; 08-13-2018 at 10:12 AM. mine: 2014 S4 Phantom Black. mine: 1989 944 S2 Black. hers: 2018 Atlas SEL Premium VR6 4-Motion Platinum Gray Metallic. when you remove the plate and install a wiring adaptor, is that it? it's plug and play? or is there vag-com involved to activate everything? From what I have seen is that it is plug and play but you have to put the screws to keep in place. The break control seems to need some work inside on the driver door sill side. 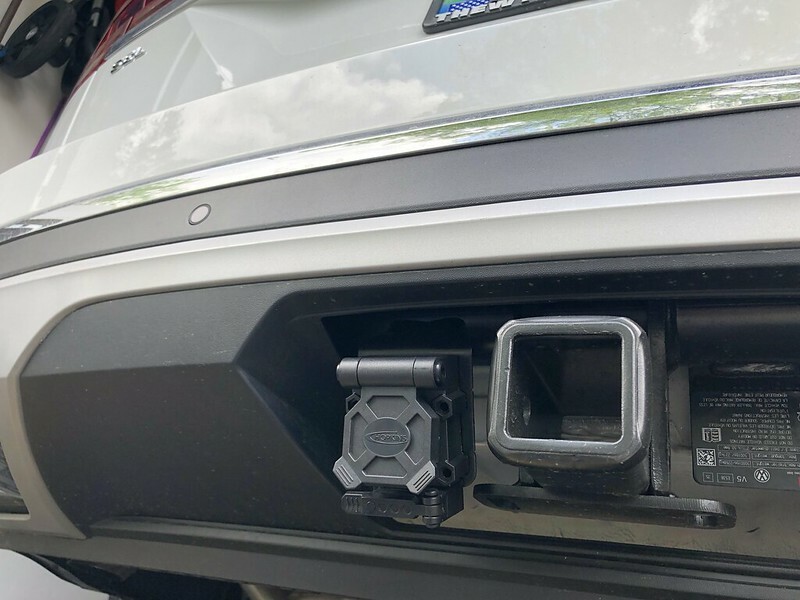 You’ll need remove the plate next to the hitch and install the Pollak (or similar) plug. I believe at this point the trailer lights will function, but obviously, not trailer brakes. 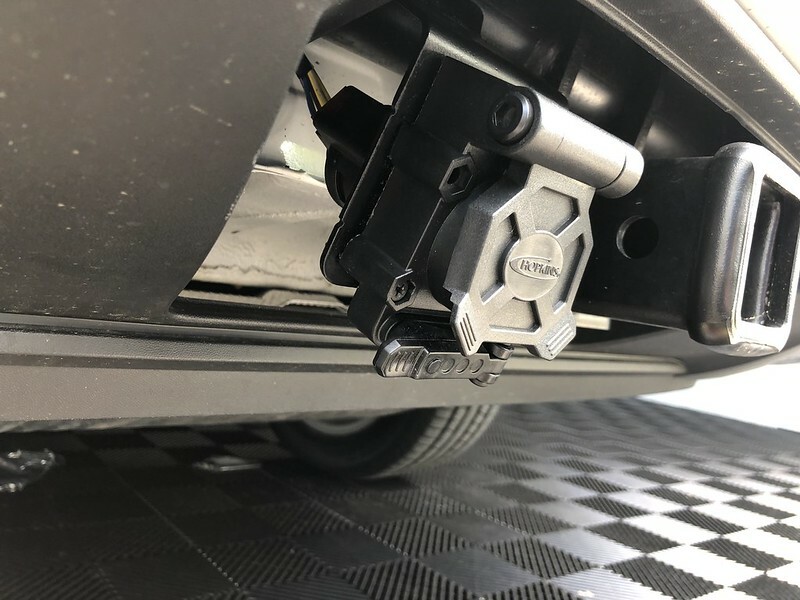 For the brakes - Order the eBay harness and connect to the plug hanging out under the driver’s side sill plate. Run that under the dash to your brake controller and you’re good to go, no vag-com needed. PS - the P3 controller works great. Last edited by tbgti; 12-21-2018 at 10:11 PM. I forgot to disconnect the battery when connecting the wiring harness and I think I created a short, does anyone know which fuse is associated with the brake control wiring harness? This should be an easy question to answer but VW does not make it easy. 3) You could spend more time to look through the list and possibly find others associated with the wiring harness, but they did not jump out at me. Good Luck & let us know what you find. I pulled those 3 fuses and they looked to be in good shape so it must be some other issue. Still no power to the cord, might have to just go to the dealer to get it sorted. Thanks for the input. 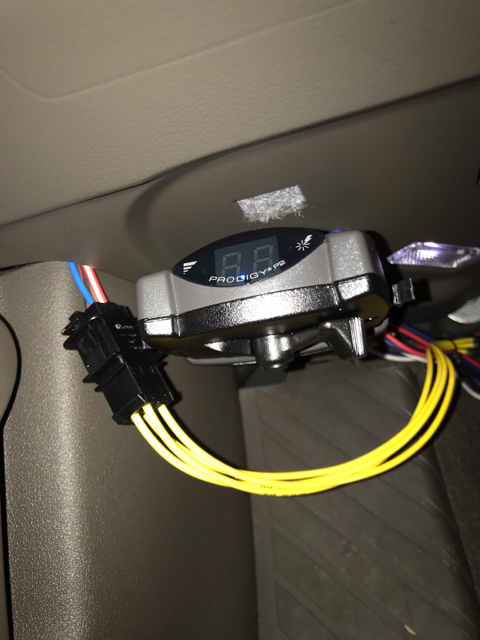 I installed the pollack connector that came from the dealer (quite easy, just took a bit to get the plate off), and bought a 7-pin to flat-4 adapter that lights up to indicate power. The adapter lights up, but just flashes. I'm assuming that's because the trailer isn't actually connected, and the sensors can't see it.